There are many different types of Spaniel. Spaniel Breeds come in all different shapes, sizes, and colors. We believe there is a Spaniel variety for everyone. Below you will find detailed summaries with descriptions and photos of the 23 different Breeds of Spaniel. Once considered the same breed as the English Cocker Spaniel, the American Cocker Spaniel now has a separate identification and standard. Referred to as the “Cocker Spaniel” in the US, this breed does well in the field, show ring, and home. For 18 years total, the Cocker Spaniel was the most popular dog registered with the AKC. This breed is the smallest of the Sporting Dog group but has a solid and compact body. Their heads and coat make Cocker Spaniels easy to recognize. With skulls that are round with a very defined stop, and long ears hang low with full, silky fur. Their medium-length coat comes in a variety of colors and tends to either be flat or wavy. Cockers have a decent level of intelligence when it comes to all hunting related requirements. They’re able to show restraint and act on command while at work. However, their intelligence level off the field is notably lower. This breed is outgoing and friendly; it aims to please and relies heavily on being treated as a companion. Unfortunately, due to their popularity in the US, unfavorable breeding practices have caused lifelong health problems for many of these dogs and is something to be conscious of. This rare breed is the state dog of Wisconsin and is one of the only dogs originally bred in the United States. In fact, the AWS was bred to be a hunting dog specifically in Wisconsin’s climate. This breed is described as versatile due to its ability to work in quickly changing climate and terrain. The AWS can work on land or in water, they’re able to withstand seriously cold temperatures, and they’re small enough to be easily transported, making them viable hunting partners. These dogs have thick, coiled coats that work extremely well in protecting them from freezing water temperatures. They’re found in only three colors (brown, chocolate, and liver), with either very curly or wavy hair. The AWS rivals Golden Retrievers in their ability to return hunted game. While these dogs might not be the fastest or most energetic of workers, they do have excellent endurance. This breed enjoys attention and tends to be a one family, or even one person, dog. While they do well with training, it does need to remain engaging, with rules clearly laid out. Fortunately for this breed, because of their limited breeding, the AWS is typically healthy and has fewer serious concerns than most other dogs. Most commonly seen in Canada and France, this high energy breed is another hunting dog of the Spaniel family. The Blue Picardy is easy to recognize by its flat or wavy bluish colored coat, which is actually a mix of speckled gray and black. These dogs have muscular bodies and oval heads with long muzzles and drooping, feathered ears. Unregistered with the AKC, and thus vastly unknown in the United States, this dog is both an excellent hunter and loving family pet. They make skilled retrievers, working well on varying terrain and landscapes, even in adverse conditions. While generally thought of as quiet dogs, the Blue Picardy does have a high level of energy, which necessitates daily exercise if they’re not routinely out in the field. Like many other Spaniels, this breed loves being a companion and thrives in a family atmosphere. 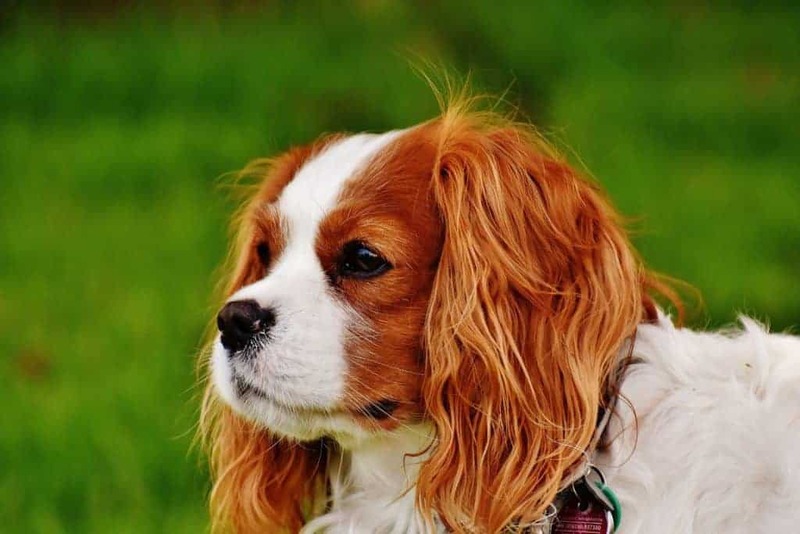 They also fall victim to chronic ear infections like other Spaniels, and require routine ear checks and cleaning to keep them healthy and full of life. This hunting dog is another member of the AKC’s Sporting Group. Recently recognized as its own breed, Boykins come in only one standard color – liver – and sometimes have small, white markings on the chest or toes. They are also the State Dog of South Carolina. 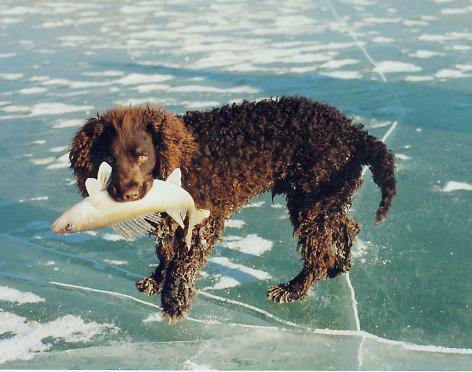 Boykins are medium sized dogs, which makes them easy for their hunting partners to transport. They excel at both flushing and retrieving. Bred to hunt in South Carolina, Boykins do quite well in warm to moderate climates. With webbed toes, they have a natural ability as swimmers and work well on both dry and wet land. 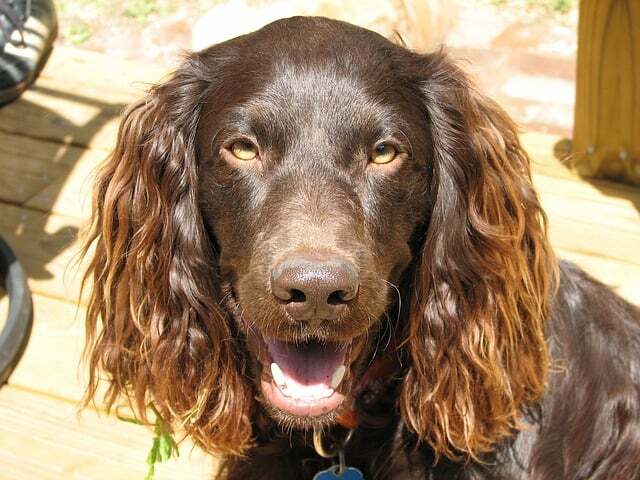 Boykins have shorter coats than many other Spaniels, with moderately curly to straight hair. Their long ears hang just below the jaw line with silky, full hair. Beyond bird hunting, Boykins also take on the tasks of driving deer and tracking quite well. This breed has an adaptable personality and likes being in a family atmosphere. While they do have high energy levels, regular exercise and socialization keep them happy and friendly. These toy dogs are one of the most popular breeds in the United States. They sport a moderately long, silky coat found in four different standard colors. They are generally seen full of affection and love. Cavalier King Charles’ are considered to be small for a member of the Spaniel family; they’re often confused with the English Toy Spaniel. Their high set, long, and feathered ears make them easy to recognize, though. Overall, this breed is described as happy and is always thrilled to be a part of any family. They enjoy children, other dogs, and even other animals. This breed is of average intelligence but is eager to please and innately curious. They maintain their contentedness without the need for excessive amounts of exercise; they’re just as happy napping in the lap of their human companion. This Spaniel is the largest of the family and also part of the AKC’s Sporting Group. Almost entirely white, with minor lemon or orange markings, Clumbers are shedders, snorers, and droolers. With that being said, they’re also lovingly devoted and committed family members. In spite of their large and muscular appearance, this breed is both gentle and kind to companions and strangers alike. Their long bodies and drooping eyes and face give them somewhat of an aloof appearance, but these curious dogs are avid hunters, workers, and loyal partners. Clumbers, with their heavy eyes and tendency to carry objects around in their mouth, which has a knack for amusing those in their company. Deep down, though, Clumbers are powerful, steady hunters and retrievers with amazing stamina. Perfect for multi or single person families, this breed makes a wonderful companion of any kind. A relative newcomer in the sights of the ACK, this breed is a hunter, pointer, and retriever. With a muscular body and powerful legs, the Drentse Patrijshond (pronounced da-rinse-ah puh-trice-hoon) is quick and agile in its role as gun dog. The deceptively short coat on these dogs has both an under and outer layer that serves as protection from the elements when hunting. The standard color for this breed is white with brown markings. Bred to be an all-around working dog, the Drentse can be thought of as a jack of all trades. For hundreds of years, these dogs took on roles as hunters (of birds and small game), watch dogs, nannies, and general workers. They are fiercely loyal companions as long as their human partners show respect and love. As much as they excel in the field, the Drentse equally enjoys spending time creating unbreakable bonds with their family. A popular Sporting Group dog, the English Cocker Spaniel is compact, energetic, and powerful in his natural hunting element. An expert at working through dense and thick cover, this breed makes an invaluable partner in the field. English Cockers are intelligent looking dogs that sit just larger than their American cousins and have a slightly longer muzzle. They have a powerful gait, low hanging ears, and a much less defined stop on their heads compared to American Cockers. These dogs feed on spending quality time with their families and will remain affectionate and loyal to those who treat them with kindness and respect. English Cockers are nearly always cheerful; their kind spirits can be muted with too much time spent alone and unattended. However, with routine play, socialization, and love, this breed is hard to disappoint. By nature, the English Cocker is technically an upland flushing dog. While some hunting techniques and commands must be trained, their proneness to these tasks makes them quick learners. Bred for both the field and the ring and equally adored by families, English Cockers make quite a well-rounded dog. The English Springer Spaniel is a practical and quick learning breed. Part of the Gundog Breed Group it’s not uncommon to see these dogs out on the hunt. Initially used to flush out game, they get their name from the way they “spring” upon their prey. With the increased popularity in shooting they now tend to be used to retrieve. Although Springer Spaniels are avid hunting dogs, they also make great family pets due to their obedient and friendly temperament. With the correct training they can usually get along well with people other pets. Just remember they do require lots of exercise in order to remain fit and healthy. Despite their name, Field Spaniels were originally bred to be show dogs. With long, short bodies that failed to perform well in dense brush, these dogs stayed bound to the ring. Over time, though, breeders developed the Field Spaniel into a fluid hunter, with longer legs and easy to spot coat colors. This medium sized dog differs from other Spaniels in that it has no undercoat. Its single coat colors vary between black, liver, and roan with the occasional marking or ticking. This breed has a solid build with firm musculature. Known for their persistence, these dogs can make great additions to the family, but maintain a strong desire for purpose in their lives. Bad behavior tends to develop without routine engaging activities like hunting or agility exercises. Field Spaniels tend to be more laid-back than other members of the Spaniel family. They love their families and do well with other four-legged friends as long as they’ve been socialized as puppies. These intelligent dogs are generally healthy with above average life spans. While the breed is rare and somewhat difficult to find, they are well worth seeking out. they are ideal for any family or hunter looking for a new companion. Another Sporting Group dog, this breed also goes by the name of Deutscher Wachtelhund. These German quail dogs are versatile hunters that are generally found in different shades of brown, sometimes with white markings. Experts at both tracking and retrieving, the German Spaniel is a strong and powerful medium sized dog. While denoted as quail dogs, this breed’s muscular build allows it to hunt small game as well, including foxes, rabbits, and even wild boars. With thick, wavy hair, German Spaniels do well in dense brush and remain relatively protected when working in harsh terrain. These dogs are excellent trackers and have a knack for holding off four legged game until their hunting companions catch up. A courageous breed, these dogs also make good family companions due to their innate friendliness toward people and other pets. An AKC Sporting Group dog, the Irish Water Spaniel is a large and hard working specimen. This rugged breed excels at hunting, particularly with waterfowl, and has an eagerness to match. As the largest breed of the Spaniel family, these dogs require a good amount of exercise and thoroughly enjoy retrieving, either for work or play. If socialized and trained well from a young age, Irish Water Spaniels can get along nicely with other pets. With an eager to please mentality, they make great family and hunting companions. Also known as the English Toy Spaniel, this dog comes in slightly smaller than its cousin breed, the Cavalier King Charles, and sports a daintier, dome-shaped head and flatter face. Thought to be associated with English royalty, these dog’s ancestors were developed as hunters but lacked the size and strength necessary to perform. Thus, the King Charles does maintain its natural hunting tendencies but isn’t meant for the field. These lap dogs have dark eyes, pug-like noses, and small, compact bodies. Their four standard coat colorings have a royal ring to their names, found in “King Charles” (black and tan), “Prince Charles” (tricolored), “Blenheim” (red and white), and “Ruby” (single-colored red). These small dogs are excellent for apartment living. Their quiet nature and lap-dog attitudes make them easy to live alongside. Their notable dislike for being alone means that adequate interaction, walks, and playtime are all vital to a King Charles’ happiness. While eye and heart conditions are somewhat common in this breed, they lead generally healthy and content lives with any family that provides ample love and attention. This small working dog is routinely tasked with search and rescue missions and takes on service roles as if they’re second nature. The Kooikerhondje (pronounced koy-ker-hound-yeh), a Sporting Group dog, is small in stature and maintains a white and red coat, sometimes with black tipped markings. This breed was traditionally used to lure ducks into cages and catch mice, rats, and other rodents in their farm homes. 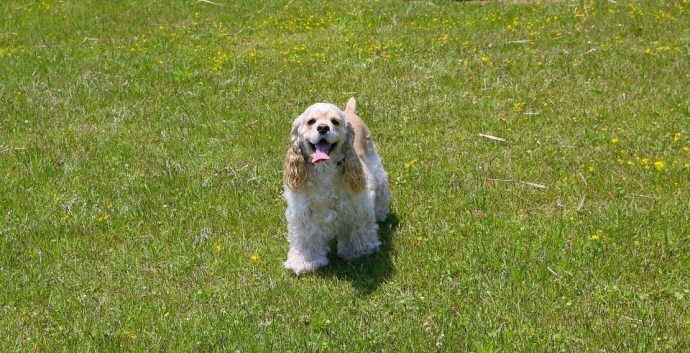 Although small, these dogs do need regular exercise to keep them happy and out of trouble. With daily playtime and activities, the Kooikerhondje can make an excellent and quiet apartment dog. Easily adaptable and happy in most environments, this breed can sometimes be a bit weary of strangers, loud children, and other dogs. With proper training and socialization and when shown love and respect, though, they create quick and lasting bonds with family and adult friends alike. Also known as the Dutch Tulip Hound, this small and energetic dog has not yet been recognized by the AKC and was only recently associated with the Dutch Kennel Club. The Markiesje might easily be mistaken for a lap dog due to its size, but that misinterpretation stands incorrect; this breed loves to run and requires adequate space for doing so. These slight framed dogs have large, oval-shaped, dark eyes, high set ears, and a shiny black coat (sometimes with white markings). While the Markiesje does fine for short stints on its own, these dogs truly love being in their human companion’s company. That being said, they truly do value being a partner rather than a house pet. This generally healthy breed can also get along with other dogs and small animals, but proper training and socializing must take place from a young age. These Toy Spaniels were named for the butterfly look of their long-haired ears. In fact, Papillon literally means “butterfly” in French. These popular dogs have a very slight bone structure and a dainty appearance but are otherwise robust with energy and life. While they can technically be found in fifteen different color combinations, the AKC recognizes five coat colors, specifically parti-colored or white with various patches of other colors. With a lifespan of up to 17 years, Papillons are generally healthy dogs. While they do require regular exercise like any other dog, this breed will be happy with a routine run around the yard or some engaging play time. These dogs have a high level of intelligence and tend to have adventurous spirits. Without an activity or purpose to focus on, boredom is a likely result. Papillons who participate in obedience and agility competitions or tests tend to be happier and more fulfilled companions. Another Toy Dog, the Phalène is very closely related to the Papillon. So much so that having the two varieties born in the same litter is not uncommon. The main difference between these dogs is seen in the ears; while Papillon’s have perky ears that resemble butterfly wings, Phalènes have drop ears that hang down on the sides of their heads. While the Phalène came first, the Papillon is the breed recognized by the AKC. In fact, this breed is registered as a Papillon and has the same qualifying factors in the ring, with the exception of their drop ears. Similar in intelligence to the Papillon, these dogs are relatively easy to train. They’re playful and loving and thoroughly enjoy their families. However, they do tend to retreat when meeting new people for the first time. Early socialization and interactive training will help ensure a well behaved and joyful adult dog. This gun dog has many similarities to the Blue Picardy Spaniel but is technically the oldest of the two breeds. The Picardy is a medium sized dog with a strong body perfect for hunting. Like other Spaniels, pendulum ears hang low and are full with silky hair. 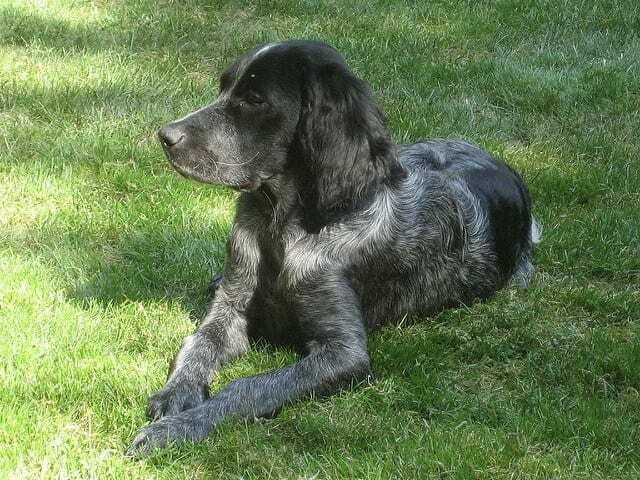 One obvious difference between the Blue Picardy and this breed is the color of their coat, which is generally a shade of brown with white markings or gray spots. This protective coat is moderate in length and provides excellent coverage when out in the field, plowing through thick brush, and even in water. Picardy Spaniels are a relatively laid-back breed. They’re easy to get along with, don’t require much effort when training, and mix well with children and other pets. Like other Spaniels, ear infections are a common problem for the Picardy. Outside of regular cleanings and checkups, though, this breed is generally healthy. Whether adopted as a family dog or a hunting partner, the Picardy will fit right in. This adaptable and versatile dog is a joy to have around in any situation. This breed has both Picardy and Irish Water Spaniel in its gene pool. Bred to be gun dogs, the Pont-Audemer is an incredibly rare breed that feels at home both on land and in the water. These hard workers make great hunting partners and have a natural instinct to point and flush with the best of them. Their medium size makes them easy to transport. While their “gun dog” attitude has made them less popular in the home, they’re well valued in the field. Pont-Audemers have long, wavy liver or brown colored coats. While the hair on the face is smooth, they also have a topknot to match the rest of their body (which can take five years to grow in). Their deep set eyes are small, dark, and kind, and unlike many other Spaniels, these dogs have noticeably pointed muzzles. Often referred to as “little clowns,” the Pont-Audemer is fun-loving and affectionate. Their Spaniel qualities make them generally easy to train, and they truly thrive in the company of other gun dogs and hunters. Their role of partner in the field makes them well loved and revered by their companions. These dogs closely resemble their Cocker Spaniel, ancestors. Although not yet associated with the AKC, this breed is well loved as a hunting dog. Their size, albeit smaller than most working Spaniels, does not inhibit their abilities. They have strong, muscular bodies, higher than average stamina and energy, excellent noses for tracking, and a great desire to please. These dogs are easy to keep track of, even in thick brush, due to their wavy coat that’s usually predominantly white with red, brown, or black spots. Russian Spaniels make wonderful hunting partners but tend to be well-loved family members in the home, too. These dogs are easy going and love to play. Their tail will rarely stop wagging, regardless of who they’re around. Their easy to train nature and loving attitudes make them excellent with children and other dogs when socialized correctly. It’s worth noting that, while typically healthy dogs, Russian Spaniels commonly suffer from food allergies. So a strict diet may be necessary to keep them happy and healthy. The Stabyhoun (pronounced Stah-bay-hoon), literally translates in Dutch to “stand by me dog”. This incredibly rare breed falls into the AKC’s Sporting Group category and makes for a well-rounded family or hunting dog. While there are only a few thousand still in existence, the Stabyhoun is highly revered, not only for their “work-dog” abilities but also for their loving and affectionate nature. These dogs have a high level of intelligence and are always eager to please their human companions. While they require adequate exercise to keep them stable and content, the Stabyhoun is also just as happy to lounge around inside the home. These sturdy dogs have a soft, silky coat that is generally found in black and white colors. However, brown and white and orange and white Stabyhouns do exist, albeit in rarity. This breed does not carry the standard Spaniel ears; theirs are medium sized, low set, and not pronounced with fur. These dogs are sweet and loving by nature. They do lean toward the sensitive side, so gentle, calm, and consistent training is necessary to develop a well-behaved adult. When given the right attention, though, the Stabyhoun maintains a strong tie to its companion and a deep willingness to please them. Likewise, when socialized early, this breed can get along quite well with other dogs and children. This Sporting dog is hard to miss, with a short, compact body similar to that of the Clumber, and a single colored coat of golden-liver. While this breed is expectedly slow in pace, it maintains a surprising level of energy. Bred to be hunters, their thick coat has a weather protective undercoat and a smooth, soft outer coat. Their hazel colored eyes complement the color of their hair, and their low hanging ears are full with silky fur. Like the Clumber, this breed is slow in speed. In spite of this, they make excellent upland hunters with their steady work pace, keen nose, and unique ability to cut through overly oppressive terrain. These laid back, slow going dogs can make great family additions. They thoroughly love being in the company of their human companions and tend to form incredibly strong bonds with them. While Sussex Spaniels can be tough to train, with persistence and patience, they can become well behaved and sociable dogs. As with breeds of this stature, health problems can become an issue. This Spaniel’s long body is prone to herniations of the spinal disks, which can become a serious concern. Keeping a close eye on the dog’s health is vital. In spite of its incredibly long history, the Welsh Springer Spaniel failed to make a name for itself until a string of dog trial victories put their name in lights. This breed is loyal, hard working, and endlessly loving. As skilled bird hunters, “Welshies” need their exercise, playtime, and human interaction in abundance. Easy to spot by their red and white coat, these dogs can become extremely attached to their human companions. Their sturdy build and level of endurance make them good working dogs. While their strong noses, water resistant coat, and webbed feet enable them to excel both on and off land. Their dark, brown eyes suit their coat color well, and their small, hanging ears aren’t too overly pronounced. Often confused with the English Springer Spaniel, these dogs are slightly smaller and differ in color. Similar in nature, though, this breed also tends to “spring” at prey in the field. The Welsh Springer Spaniel makes the perfect addition to most families. While they can be somewhat stubborn with inadequate training, if given a confident leader to follow, Welshies can grow hugely attached to children, other pets, and adult companions alike. What type of Spaniel is Right for You? Hopefully you’ve learned a little bit about all the different types of Spaniel Breeds. Perhaps there was a Spaniel Breed that you weren’t aware of? 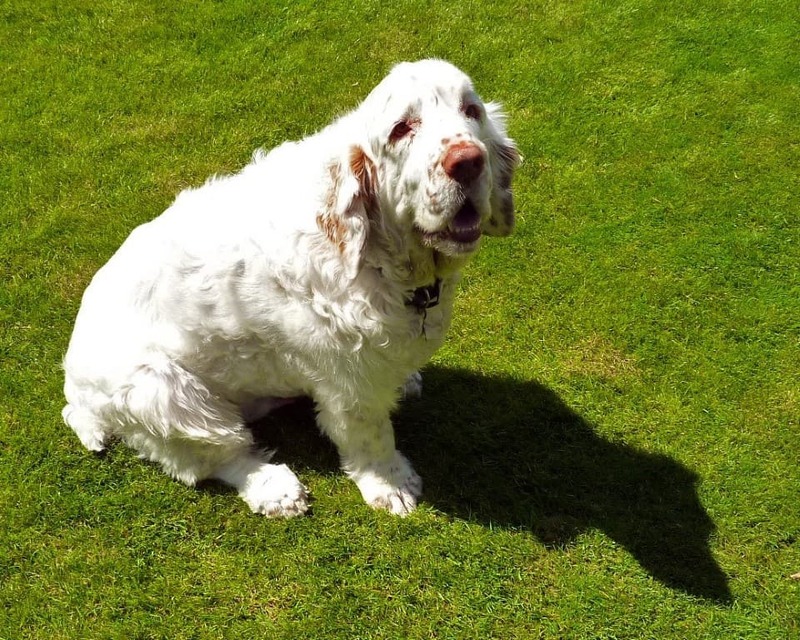 Spaniels are an amazing breed of Dog and we are sure there’s a Spaniel type to suit everyone. Perhaps you already have a pet Spaniel or are thinking about buy a new puppy. We’ve got lots of helpful tips and guides to help you and your dog have a happy life together. Please let us know in the comments which type of Spaniel you have and why you love them. We’d also love you to share your Spaniel Photos on our Facebook﻿﻿﻿﻿﻿﻿﻿ page. Some of the photos in this post are licensed under various Creative Commons licences, to find out more visit 1.0, 2.0, 3.0, 4.0.